There is nothing quite like the feeling of slipping into a body of cool water or taking a long, pristine drink from the tap on a hot day. Water is more than just refreshing, however; it is vital for human life. The essential nature of water makes the reality of water pollution a serious concern. Understanding the types of water pollution is the first step toward protecting this life-sustaining resource. 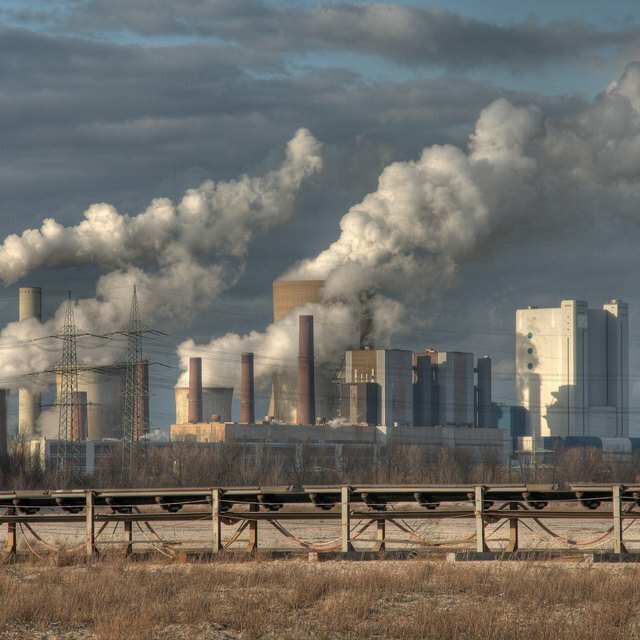 There are three basic types of pollution that describe both the source and impact of pollution. Point-source pollution derives from a single origin or event and affects the immediate area. Nonpoint-source pollution comes from multiple sources and impacts both the immediate and surrounding area. Trans-boundary pollution is diffuse and affects the environment over great distances. Scientists and conservationists characterize water pollution in a few ways. One of the most useful describes pollution in terms of its source and effects. Using this framework, the three main categories of water pollution are point-source, nonpoint-source and trans-boundary. Point-source water pollution is easy to recognize because it originates from a single source or event and affects a specific area. This could be an oil spill or a discharge pipe from a factory or sewage system. Since there is a single point of origin, this type of water pollution lends itself to relatively easy remediation. Nonpoint-source water pollution comes from multiple sources and affects both the immediate and surrounding area. A good example of this type of pollution is runoff from lawns or farmland. Compared with point-source, nonpoint-source pollution is often more complicated to identify and address. Trans-boundary water pollution is the most diffuse of all and impacts large swaths of the environment. Radiation from nuclear waste is trans-boundary pollution. This type of water pollution is usually the most complex to remediate. In addition to classifying water pollution by source and effects, it is also valuable to characterize drinking water by the specific type of contaminant responsible for the pollution. This can be physical pollution like sediment, chemical pollution such as bleach and discarded medications, biological pollution like bacteria and viruses, or radiological pollution like uranium. The most important aspect of water pollution is how to address it. Since this problem is so profoundly impactful, remediation requires scientists, lawmakers, industrial representatives and citizens to work together. Anyone can make a difference by reporting water pollution they witness, volunteering to clean up sites of water pollution, and assisting with local or federal initiatives to protect water. It’s hard to imagine a resource that is more essential than clean water. Fortunately, when people work together, a little education and effort can go a long way toward addressing all types of water pollution. How Does Water Get Cleaned? Mayer, Melissa. "The Three Types of Water Pollution." Sciencing, https://sciencing.com/three-types-water-pollution-8171278.html. 12 June 2018.